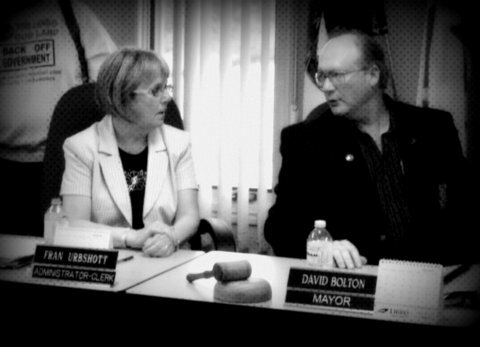 The Township CAO/treasurer Fran Urbshott, was contacted by the office of the Ombudsman and an investigation has been initiated, as all but one of the township councillors and the mayor were there— a quorum present and the public was not invited, let alone notified….nor were minutes taken….the township has no record of the meeting, thankfully the wind company does. Right before adjournment of a recent council meeting a resident made a probing statement about the number of Ombudsman investigations that this council has seen, ending by calling for the resignation of anyone present for the last meeting now under investigation. Mayor David Bolton tartly replies, “This mayor’s not going to resign because you haven’t got just cause.” Is it any wonder this council voted against becoming an “unwilling host” of wind turbines, with the mayor casting the deciding vote? The first wind project was just approved for this township by the Ministry of Environment on Thursday: NextEra’s Adelaide/Kerwood project of 37 turbines. 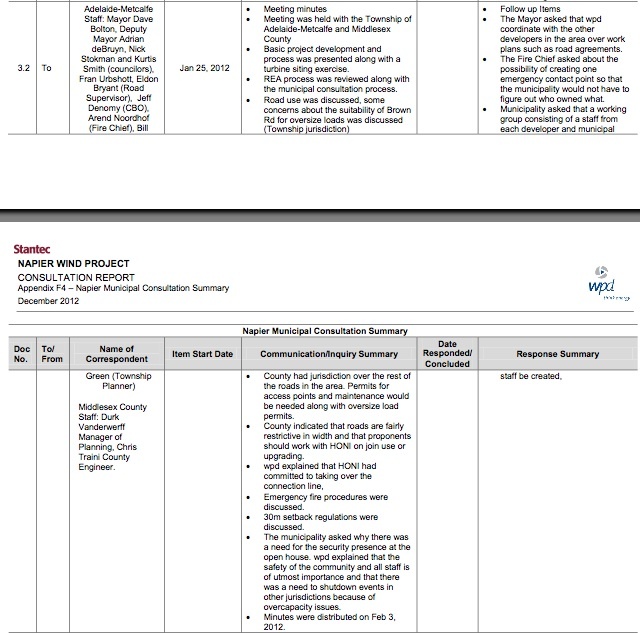 Posted on August 6, 2013, in Adelaide Project- NextEra, Adelaide Project- Suncor, Ethics, Municipalities, Napier Project, Next Era, Suncor, TCI Renewables, White Pines Project, WPD. Bookmark the permalink. 1 Comment.